Everyone wishes to age well, but healthy aging remains a mystery to many people. However, many are not getting a good night sleep to achieve their goals. Sleeping is essential for everyone, young or old. Despite older adults tend to sleep less hours than younger folks, their body still needs the same amount of sleep to recharge. Since seniors tend not to sleep as long during the night, they make it up by taking naps during the day time. This is fine except it interrupts the sleep cycle and eventually will disrupt your sleep at night as well. Not sleeping well can cause many problems, and it affects your body, your health, and ultimately the way you age. For instance, you may feel depressed and irritable, and are less energized and more prone to falls or accidents, and even cause memory problems. Best thing to do is to set a sleeping routine. Do something relaxing before going to bed to get ready to sleep like reading a book, listening to music, or even just taking a shower to get comfortable. It is also important expose yourself to the sun from time to time because our internal clock dictates our sleeping as well. Finally, it sounds like common sense, but keep your bedroom dark and comfortably warm to make it easier to fall asleep. Sleeping at one’s own home is most likely easier than in an assisted living facility as well, so why not find a home care service that will provide direct support for seniors at home rather than moving them into a nursing home? A-1 Home Care in Studio City has been in business since 1991, and we understand what it takes to find the best quality caregivers. Our personalized services include Post Surgical Care, Alzheimer’s Care, Parkinson Care, Multiple Sclerosis Care,Incontinence Care, Arthritis Care, Heart Attack Care, Cancer Care, and other elderly care services. We serve the cities of Studio City, Burbank, Beverly Hills, Malibu, Sherman Oaks, Santa Monica, Glendale, West Hollywood, and many more cities in the Los Angeles andOrange County. 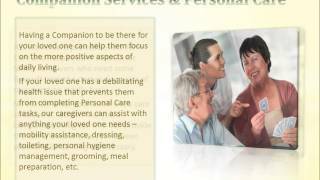 Call (818) 980-0094 for a service inquiries or visit studiocityhomecare.com today. Also, don’t forget to like us on Facebook! 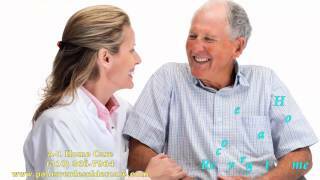 Categories: alzheimer care, at home care for elderly, Beverly Hills CA, cancer care, care for elderly in home, caregiver service, elderly care, in home care, senior care, Studio City CA, Uncategorized | Tags: a-1 domestic, a-1 home care, cancer care, care at home, caregiving service, in home care service, in home care studio city, studio city at home care, studio city in home care | Permalink. Tomorrow is the Fourth of July, and it also marks the end of Firework Safety Month because it is the only day we are able to light fireworks as consumers. Because of it is such a rare occurrence, it is always good to refresh your memories about firework safety so no one gets hurt tomorrow. Many are choosing to play with fireworks at home because there is nothing that beats the comfort of your own home, that is why more and more families are choosing in home care for their elderly loved ones. 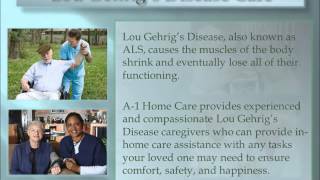 A-1 Home Care in Studio City is the industry leading in home care agency that provides a wide variety of quality caregivers to serve the entire Los Angeles and Orange County. We are proud to have expert caregivers in Alzheimer’s Care, Parkinson Care, Incontinence Care, Arthritis Care, Heart Attack Care, Multiple Sclerosis Care, Cancer Care, and other elderly care services. We have over 20 years of experience serving the cities of Studio City, Burbank, Beverly Hills, Santa Monica, Glendale, West Hollywood, Malibu, Sherman Oaks, and many more cities in the Los Angeles and Orange County. 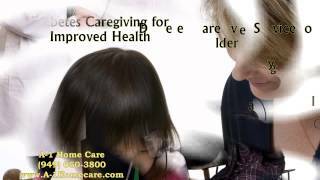 You can find your perfect caregiver today by calling 818-980-0094, or visitwww.studiocityhomecare.com for more information. Have a look at our Facebook and follow us as well! Categories: alzheimer care, at home care for elderly, Beverly Hills CA, cancer care, care for elderly in home, caregiver service, elderly care, in home care, senior care, Studio City CA | Tags: a-1 domestic, a-1 home care, cancer care, care at home, caregiving service, elderly care service, firework safety month, fireworks, fourth of july, in home care service, in home care studio city, independence day, senior care, studio city at home care, studio city in home care | Permalink. The post World War II baby boom, nearly 80 million people were born over roughly 20 years period. Many were of these baby boomers were born to veteran parents who fought for our freedom during World War II. Memorial Day is near, and it is important to show our appreciation and gratitude for what that generation have done for us and for our country. These veterans are up there in age, and age-related problems are likely to be affecting many them at this point. Whether it is arthritis, depression, Alzheimer’s, vision problems, or other ailments, we can provide assistance and support to help improve their quality of life. A-1 Home Care is the trusted home care agency for the Studio City community for the past two decades. 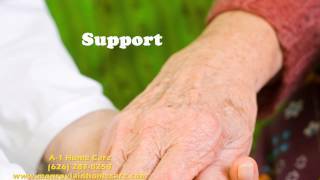 We can provide long term home care solution for any seniors can benefit from having a caregiver in their home. 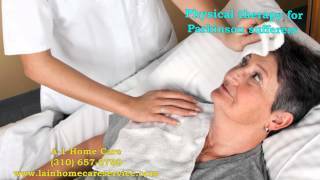 Our experienced home health aides are extremely compassionate and skilled, lending their expertise to assist seniors with Alzheimer’s Care, Parkinson Care, Incontinence Care, Arthritis Care, Kidney Disease Care, Heart Attack Care, Multiple Sclerosis Care, Cancer Care, and other home care needs. All caregivers have a minimum 2 years expereince and are CPR and First Aid certified to ensure they are prepared for any home care situations. Call today to receive service in Studio City, Burbank, Beverly Hills, Santa Monica, Glendale, West Hollywood, Malibu, Sherman Oaks, and many more cities in the Los Angeles and Orange County. Inquire about our senior services today at 818-980-0094, or visit www.studiocityhomecare.com for more information. Stay connected with us on Facebook as well! 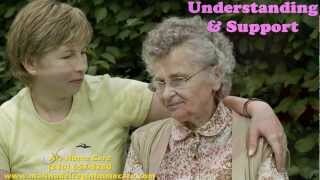 Categories: alzheimer care, at home care for elderly, cancer care, care for elderly in home, caregiver service, elderly care, in home care, senior care, Studio City CA | Tags: a-1 home care, care at home, elder, elderly, elderly care service, in home care service, memorial day, seniors, studio city at home care, studio city in home care, veterans, world war II | Permalink.